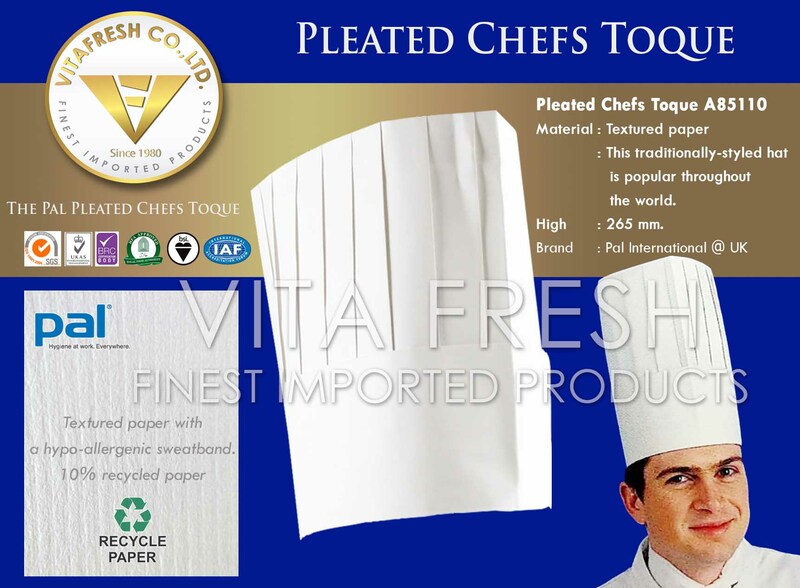 Toques were popular from year 1200 to 1600 in Europe, especially France. 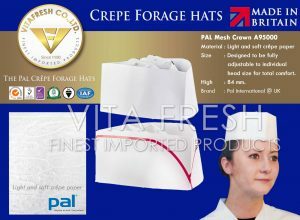 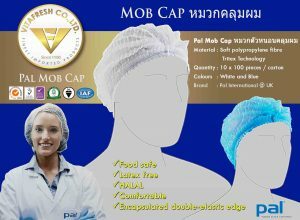 Pal Mob Caps are a made from soft, comfortable, thermally bonded polypropylene fibre. 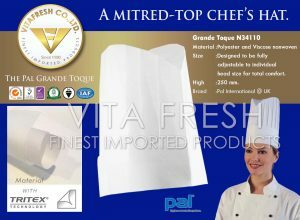 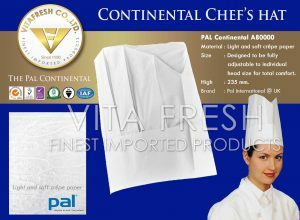 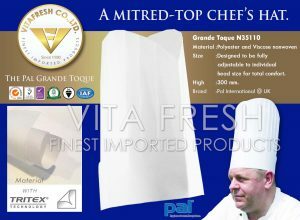 VITAFRESH ( Finest imported dried food ) with over 3 decades of experience can guarantee quality and service.